Due to various reasons, people need to hack Viber chat history of other people. However, only a few of them succeed. In fact, finding a good tool to hack Viber is a really difficult task as most of those tools promise bogus results. Some of these tools may contain various malware programs that might counterattack your personal information. In this case, Spyzie can be considered as a prominent option that can easily fix how to hack Viber chat history without causing any trouble on your end. Before we dig deep into hacking into the chat history using Spyzie, let’s take a look at the brief introduction about Viber. In simplest terms, Viber is considered to be one of the most popular and versatile instant messaging and VoIP application. This specific application is developed to support all the leading platforms like macOS, Window, Linux, and Android. This is introduced as a freeware. Currently, it supports 30 languages, and hundreds of millions of people are currently using Viber as their preferred mode of instant messaging and VoIP. Although it’s currently owned by Rakuten (since 2014), it was developed in Israel. Now, the company is known as Rakuten Viber whose head office is located in Luxemburg. How to Track Someone’s Phone by Their Number? To be functional, this respective application must need an internet connection; after all, it is a VoIP application. This program allows you to exchange text messages, voice messages, voice calls, video calls, and stickers without any hassle. Viber is known for its call clarity and stability despite very few complains. Over the past couple of years, Viber has become incredibly popular all over the world as a substitute for the expensive phone calls and instant messaging (both internationally and locally). However, since it is a widely used App across the globe, a notable number of users misuse it. Especially, when kids hold on to this app, they can fall into traps of strangers accidentally and put their personal information in danger. Therefore, parents or guardians should keep an eye on the activities kids do using Viber. It can be nearly impossible for some parents to check their kids’ Viber accounts; this app is usually installed in their smartphones which are hardly available for your observation. This is exactly why you need a smarter tool to hack into their Viber accounts and read the chat history. By reading a chat history of a kid, you can learn a lot about their online behavior and identify potential threats he or she is facing in future. This is why you need to learn about a reliable tool that can fix how to hack Viber chat history very effectively. If you expect to hack Viber history of someone, you must first get hold onto a steady and dependable monitoring app that can do the job easily. Here are some of the most notable features you should look for when selecting a good hacking tool. As per our knowledge, the best tool that can do the job while adhering to the above-mentioned list is Spyzie. So, from this point onwards, let’s see how to hack Viber chat history & hack Line account using Spyzie. Spyzie is capable of hacking into any Viber account and bring the chat history on to your device very easily. No matter if the app is installed on an Android phone or an iPhone, Spyzie can do the job for you and spy on the target phone discreetly. Already, Spyzie has received impressive feedbacks from users across many regions. Although the functionality of this device is impressive and very effective, it comes with an exceptionally attractive, affordable price plan. Another impressive feature associated with Spyzie is that it doesn’t require you to root or engage in the complex configuration process. Both the installation and configuration processes are pretty simple; at the successful completion of the configuration process, you can monitor call logs, sent and received audio files and video files shared in addition to the chat history. More importantly, if you need to track the location of the target, you can do so using this Viber hacker – Spyzie. So, we consider this respective SMS tracker tool as an all-inclusive option in terms of remote monitoring a certain target in discreet mode. All you have to do is to deploy a couple of simple steps and start Spyzie in order to monitor the target. Let’s see how to hack Viber chat history using Spyzie now. Here’s the step-by-step guide. We strongly suggest that you use a genuine email address at this step. All the critical information like login information links to download the apps and other details will be sent to this address. Now that you have registered for an account and subscribed to a plan that matches your budget, you can proceed toward the real “spy work”. At this stage, you will be installing an app on the target device using a couple of easy steps. Like with any other registration process, you can easily start by typing in your name and the age at the first step. The Setup Wizard will guide you towards the successful completion of the registration. This process is carried out in order to distinguish the of the device that has Viber installed. If you are trying to monitor an android phone, you will have to adhere to the following steps. Go to “Android” and press “Next”. Then you should go to the “Settings” page (on the monitored phone). Then, you should go to the “Lock Screen” option and “Enable Unknown Sources” accordingly. This step is followed to let the respective target device accept the installation of the app which is not available in Google Play Store. You should go to the iOS option instead of Android in this case. Then, you should provide the iCloud ID and password in order to authenticate the process. After this authentication process, you should start downloading the app (Spyzie of course) on the phone you intend to monitor. For this, you should visit Spyzie website and select download link using the target phone. Now, it is a matter of login into the account you have created in the previous step. You will need to agree to their terms and conditions and press “Start” option. After that, you will need to grant the permission on the device and make sure that the app is activated without any issue. That’s all; the app itself will remove the installation file and become discreet to the user. 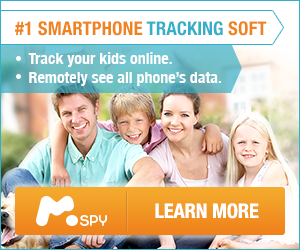 It runs without the knowledge of the user and does the job of a real spy agent for you. Just visit https://my.spyzie.com/dashboard.html and wait for the devices to be connected. As long as the target device is connected to the internet, you can easily fix on how to hack Viber chat history using this best Viber & Snapchat Password Cracker – Spyzie. How to Figure Out Someone’s Instagram Password Easily?